Samsung announced the Chromebook Pro and Chromebook Plus at CES today, apparently made in partnership directly with Google. 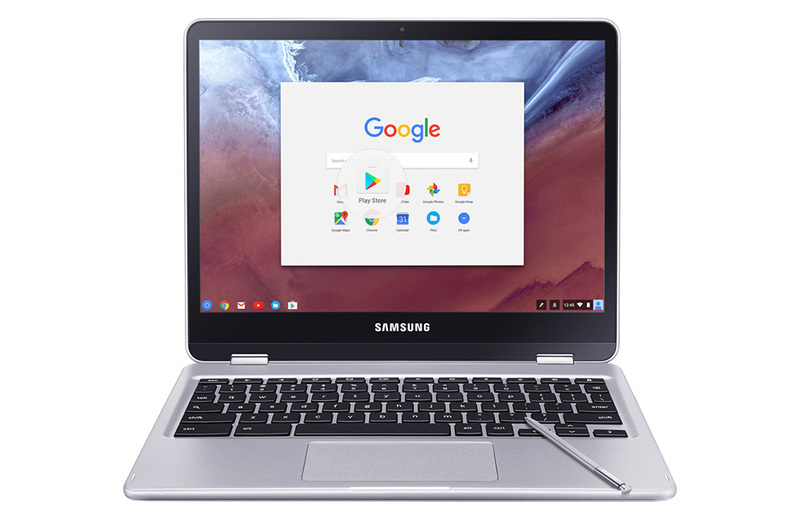 If you’ll recall, back in October, details and images of the Chromebook Pro were leaked, but now with a couple of months behind us, Samsung has made them official. On paper, each Chromebook is exactly the same, with exception to the processor used. The Chromebook Pro and Plus feature a 12.3″ LED touchscreen display (2400×1600), 4GB LPDDR3 Memory, 32GB e.MMC hard drive, 39Wh battery (around 8 hours of life), 720p webcam, two USB Type-C ports, SD card support, included stylus, and access to Google Play for using all of your favorite Android apps. For that processor difference, the Chromebook Pro uses an Intel Core M3 Processor 6Y30, while the Chromebook Plus uses an ARM OP1 hexa-core processor designed specifically for Chromebook machines. On top of a lightweight (2.38lbs) metal design, users can also convert their Chromebook Pro or Plus into a tablet-like device, simply by flipping the display all the way back, just like on the Chromebook Flip from ASUS. So, when can you buy one? The Chromebook Plus will be available for $449 at many major retailers, including Best Buy, starting in February. 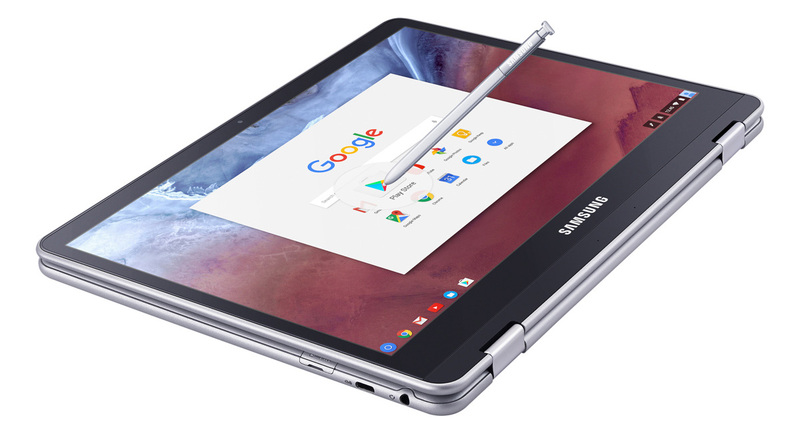 For the Chromebook Pro, Samsung details that it will be available later this spring, but gave no exact pricing. Thinking about picking one up?